Speak the words “Las Vegas” and several cultural motifs probably come to mind: showgirls, Frank Sinatra, roulette wheels, white tigers, glamorous pool parties, extravagant indoor malls and a lovelorn Jon Favreau going bankrupt in the 90’s indie film hit Swingers. Less common are thoughts of gallery hopping and languid afternoons spent feasting one’s eyes on contemporary art (unless you consider the classic, massive hotel buffet to be a Warhol-esque masterpiece). 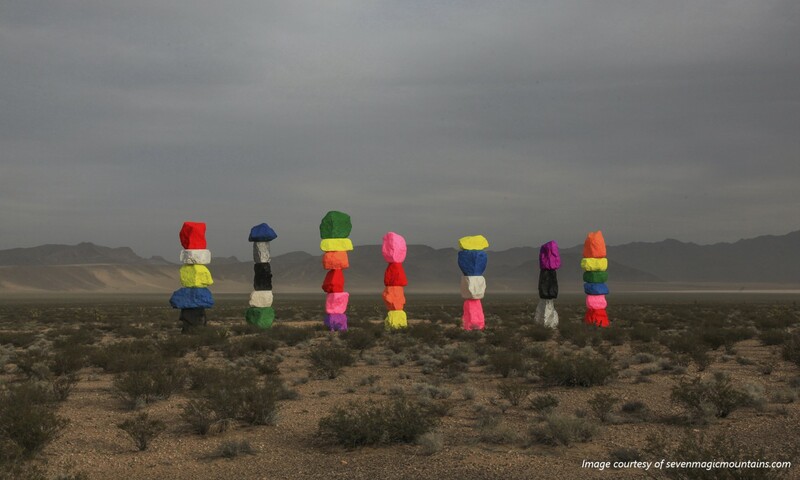 Situated just ten miles south of Las Vegas, this internationally renowned site-specific sculpture by Swiss artist Ugo Rondinone has been so successful since its 2016 installation, its permit was just extended through 2021. Our advice? Don’t take that as your excuse to postpone a visit, but as an incentive to visit more than once at different times of day. As we said, there’s more to Vegas than the glitz that meets the eye on Fremont Avenue. Nested right in the middle of the city, the Arts District celebrates the local Las Vegas art scene by providing studio spaces, activities and public programs that offer immersive moments of creative awakening for visitors and residents alike. 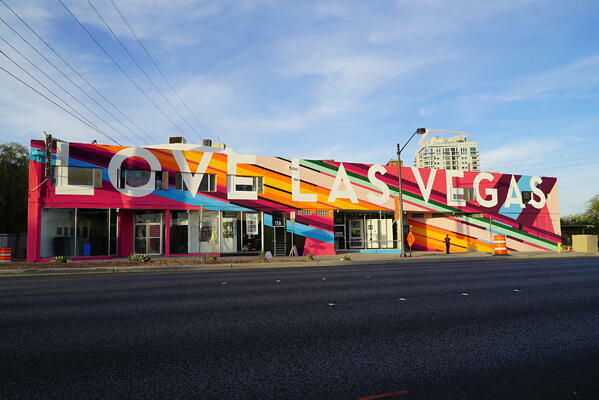 Part of the Arts District Las Vegas, since 1991 The Arts Factory describes itself as its “the geographic and creative center.” Home to artist studios, boutiques and galleries, The Arts Factory is an essential destination for anyone looking to experience local creative encounters. What would Las Vegas be without its bright shining lights? But every bright star begins to fade at some point — and this is the place where they find new purpose once the bulbs of these majestic marquis luminaries are ready to retire. Meow Wolf is an extraordinary immersive art experience that has been transforming the Santa Fe arts scene since it was established as an art collective in 2008. Drawing on the collaborations of over 300 creators across media, and with its first experience underwritten by the likes of George R. R. Martin, Meow Wolf has long been at the vanguard of interactive art. 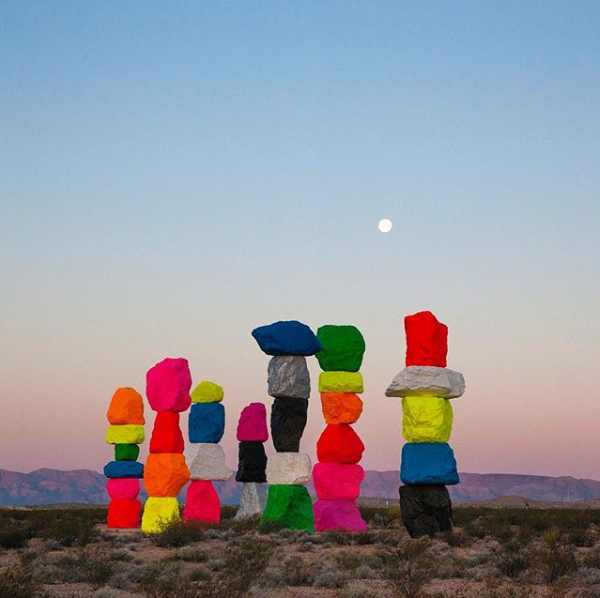 As of 2020, Meow Wolf’s creators will be extending their reach across the deserts of New Mexico, into Nevada, and setting up camp in Las Vegas. Watch this space to be sure you don’t miss the chance to be one of their first patrons.